Indulge on all your favorite beverages without the guilt of a high sugar and calorie intake with this Monin 750 mL zero calorie natural raspberry flavoring syrup. Perfect for specialty coffee and tea drinks, as well as skinny cocktails, this syrup promises a sweet, juicy raspberry flavor with a rich, rosy red color. 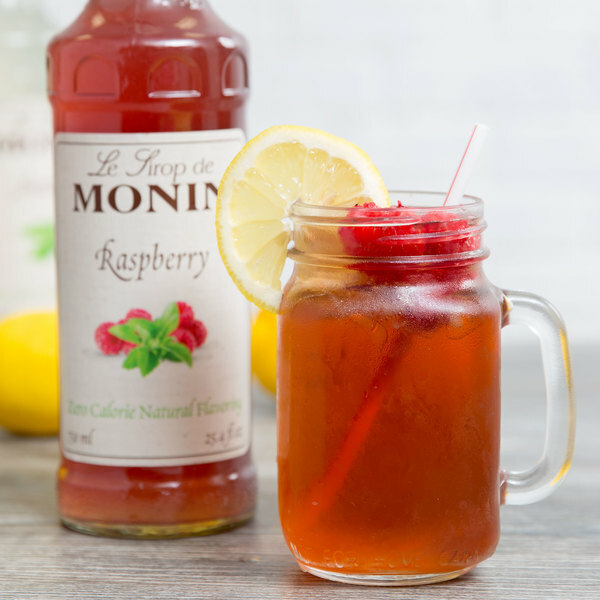 Simply substitute any Monin syrup or Monin sugar free syrup for this zero calorie natural flavoring in any recipe for a full flavor and sweetness without the sugar, calories, or artificial ingredients! Made with extracts from Stevia leaves and Monk Fruit, your customers will love knowing their specialty drinks are being naturally sweetened with zero artificial flavors, colors, or preservatives. Since 1912, Monin has had a passion for delivering premium products with quality ingredients that simplify the beverage-making process. Their sense of innovation and creativity has led to a wide variety of flavors and recipes to suit any menu. 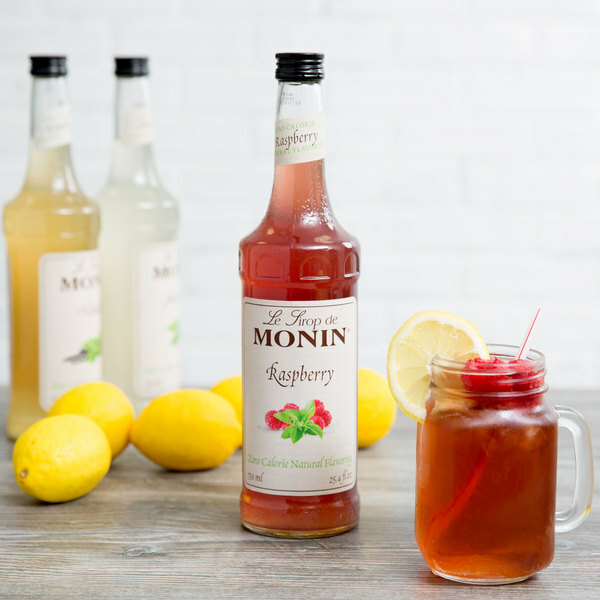 With this first-of-its-kind Monin zero calorie natural raspberry flavoring syrup, there is no need to compromise natural flavoring for zero calories and zero sugar, making it a great choice for crafting superior beverages for guests of your coffee shop, hotel, or cafe! When I heard that Monin was coming with Zero calorie syrups I was so happy. I prefer stevia compared to other alternative sweeteners because it is natural. I love this raspberry syrup in Italian sodas. Wow! I really can not believe that this is ZERO calorie. It makes a whole lot of flavor and quality flavor at that! I hope they make more Zero calorie flavors. 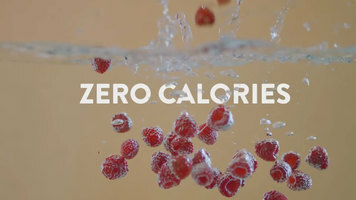 we have been wanting to try their zero calorie version of raspberry for a while. We just got ours and it tastes great. Easily some of the best 0 calorie syrup I have ever used. 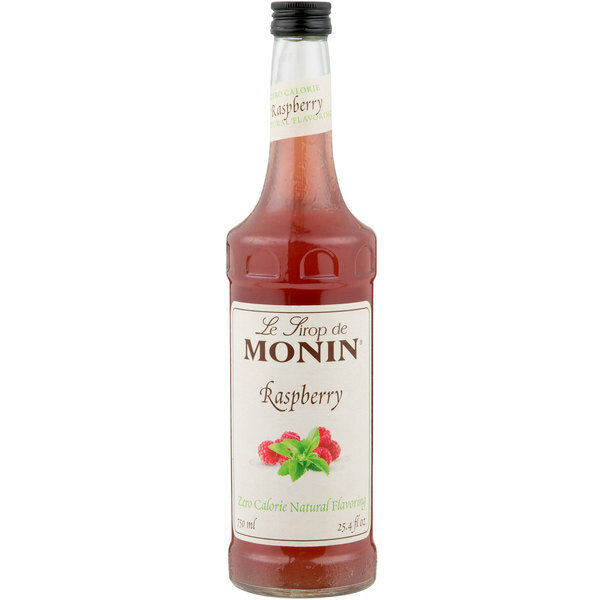 The Monin zero calorie natural raspberry flavoring syrup is super. The flavor is bold and so cool. Love the natural flavoring in our beverages for something different. A lovely tasting zero calorie raspberry flavoring that is perfect for our garden parties. The raspberry flavoring is perfect for spicing up our lemonade and tastes great.